Welcome to Old Florida Village in 30A, Florida. 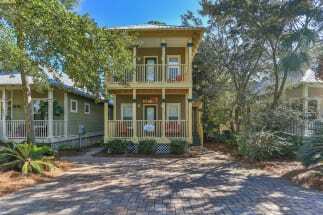 This beautiful beach community is located in Santa Rosa Beach, just between Seaside and Destin. Old Florida Village consists of 75 cottage style homes with 2 community pools that sit directly across Scenic 30A. The community is within walking distance to the white sandy beaches and emerald Gulf waters. 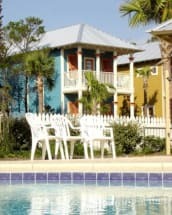 The Old Florida Village in 30A offers a year long family friendly atmosphere filled with adventure and entertainment. The dining is abundant, the white sandy beaches never get old and the sunsets are something from a movie nearly every night. Staying in OFV in 30A is a great place to spend your next Florida vacation. 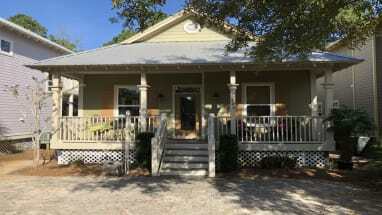 Old Florida Village is conveniently located on the northern side of 30A. Just to the west is Gulf Place which offers several restaurants, shopping and live music. Enjoy a bike ride along the 18 mile jogging/biking path or simply ride your bike up to the beach. 30A offers plenty of places to rent paddle boards, parasail or kayak. Several state parks such as Grayton Beach State Park and Deer Lake State Park are right near by as well! Plan your next escape to Old Florida Village with Emerald Coast By Owner. Booking direct on ECBYO is the best way to avoid paying booking fees for your OFV rental. We hope you find the perfect destination in Old Florida Village and enjoy your stay! Fabulous 3B/3B Beach Home on 30-A!